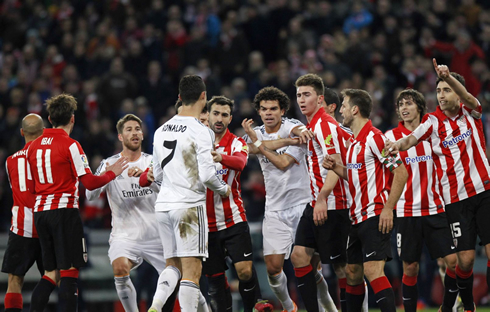 Real Madrid has slipped in Bilbao this Sunday night, after drawing 1-1 with Athletic at the new San Mamés stadium. Jesé Rodríguez scored first for the Merengues, but Ibai Gómez responded with a stunner that led the visitors to frustration and ended up resulting in Cristiano Ronaldo getting sent off with a straight red card. Let's start by stating that the whole game was a bit atypical. Real Madrid had less ball possession than Athletic in both halves, which means that even when the game was 11 against 11, the hosts were dictating the pace and the rhythm as they wanted. 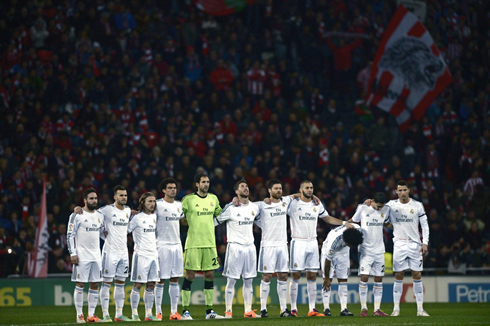 That's not normal to happen with Real Madrid and especially not this season under Carlo Ancelotti's orders, whom, as we know, has stressed in many occasions that he likes seeing his teams getting a good hold on the ball. 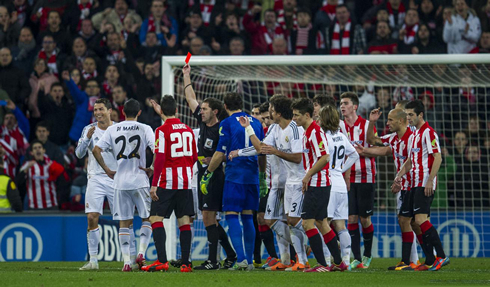 Athletic Bilbao finished the game with 58% of ball posession, against a poor 42% from Real Madrid. After a goalless first half where neither side proved to be capable of creating many goalscoring chances except for one or two good situations, it would be Real Madrid grabbing the lead around the 65th minute of the game. It all started in Di María recovering the football, leaving it over to Karim Benzema who was right to his side and then the Frenchman passing it through to Cristiano Ronaldo just a few meters in front of him. The 28-year old forward found himself with space and already inside Athletic's box, but unlike what he so often does in similar situations, instead of trying his luck from a disadvantaged position he preferred to pick a teammate in the middle. The outcome was a great assist and a not less great finish from Jesé Rodríguez, who scored his 5th goal of the season for Real Madrid. Real Madrid needed to close the gates at the back in the remaining 25 minutes of the match, but have failed to achieve that when Ibai Gómez released a powerful rocket roughly from 20 yards out, on a rebound coming off a Sergio Ramos header. The Athletic Bilbao midfielder had just come in into the game and didn't show any hesitation when he saw Ramos clearing the ball into a dangerous spot. He immediately raced towards it and fired a bullet that left absolutely no chances for Diego López to reach out to it. With the 1-1 on the scoreboard and only 15 minutes left on the clock to turn things around, Real Madrid basically succumbed to the pressure and didn't react as they should have. 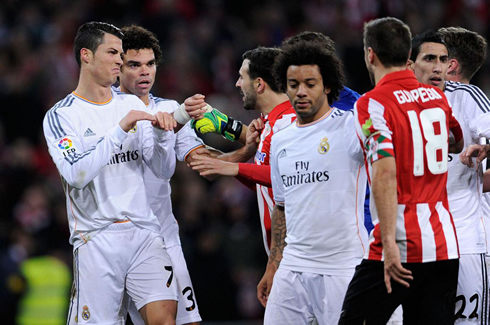 Just 2 minutes after the equalizer was scored, Ronaldo had a misunderstanding with Gurpegi and scratched him in the face after having been pushed on the chest. 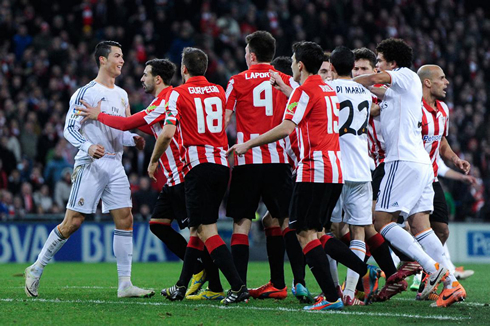 The Athletic Bilbao defender theatrically felt to the ground and straight after, it was Iturraspe who was already leaning his head over to Ronaldo, as he desperately tried to heat things up even more. The referee misjudged the whole incident by deciding to show a yellow card to Iturraspe and a straight red to Cristiano Ronaldo. The game score wouldn't suffer any further changes in the time that was left and Real Madrid left San Mamés with only 1 point in the bag. Following last night's sending off, Cristiano Ronaldo might have to go through either a 2 or a 3-game ban, and right now it's still unclear if the he'll will be eligible for this Wednesday's Copa del Rey semi-finals first leg against Atletico Madrid, or if the ban will only concern league games. We'll have to wait a few more hours in order to have more informations on that, since the ban extent (La Liga/Copa del Rey) will depend on the amount of the games of suspension that the Spanish Committee will rule. 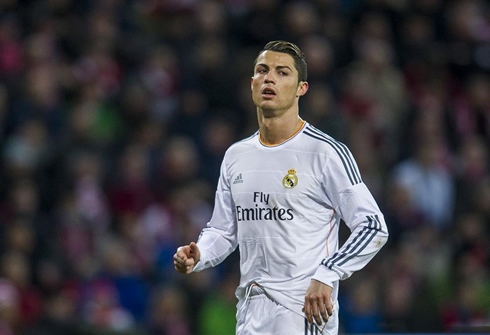 Cristiano Ronaldo next game for Real Madrid will be against Atletico Madrid, next Wednesday night, for the first leg of the Copa del Rey semi-finals (February 5, 2014). You can watch Juventus live stream, Real Madrid vs Atletico Madrid, Barcelona vs Real Sociedad, Manchester City vs Chelsea and Fulham vs Sheffield United, all matches provided from our soccer live section.